If you’re a mechanic, whether in a shop or a DIY fixer for your friend and family, you’re likely interested in the OBD2 sensor apps that are on the market. The idea is alluring-you simply download the app to your phone, attach the tool, and you have your own portable, diagnostic tool. The complication comes in when you realize each of these apps have a different set of capabilities, information, and price range. To help you decide which one would work best for you and your needs, I reviewed five of the top apps on the market. Keep in mind, if your car is older than 1996 make, these apps may not work for you. Compatible with a wide variety of adaptors. Comes preloaded with a library of codes. Manufacturer specific data codes for a broad base of makes. Compatible with an array of adaptors. The data formulation and customization is unique. The BlueDriver OBD2 Scan Tool is one of the OBD2 apps that’s compatible with Iphone systems and allows the user to scan their vehicle for defaults. It’s meant to replace traditional handheld OBD2 readers that mechanics use and allow for fast and accurate diagnostic material that will allow for easy repairs. These apps work with a sensor system that’s sold separately, and each has their own set-up for use. The app allows you to connect to the BlueDriver sensor, and scans, reads and clears error codes from your engine to include systems such as Airbag, Transmission and ABS codes. If your engine is Diesel fueled, it will only work with models that are 2004-present, with a few exceptions. BlueDriver does offer a compatibility tool that will allow you to check compatibility prior to purchase. The app is free with the purchase of the BlueDriver Bluetooth OBD2 Sensor, which is needed for the app to work. There are no monthly fees associated with the app or fees involved with downloading reports or viewing suggested fixes. This OBD2 sensor has several nice features, to include the ability to tell you if your car is ready for emissions testing. It has on-board diagnostic monitors for advanced diagnostics, monitors your fuel consumption while you drive, allows you to view real-time diagnostics to help pinpoint abnormalities, read explanations of diagnostic trouble codes, freeze frame or clear the codes. The app can help you diagnose multiple units such as the engine and transmission, so it’s great if you want to view how each component of your car is working individually. 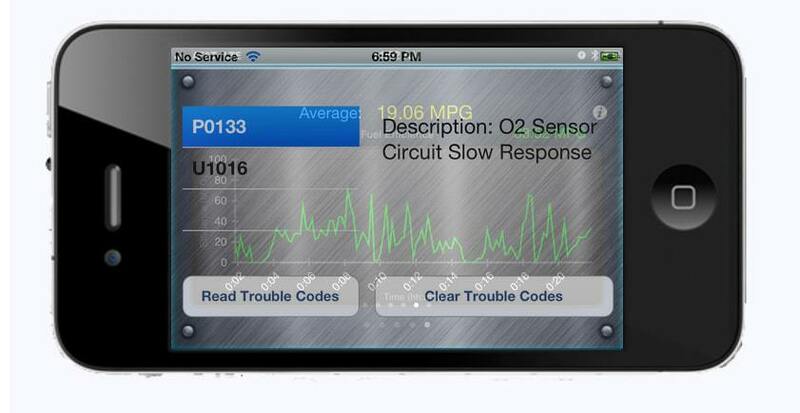 The app comes programmed with over 18,000 trouble codes to help diagnose your vehicle. The reports are easy to read, available in numerical or graphs, imperial or metric units, and can be sent to any email. The product comes with a license key, and if you lose it you may not be able to access the app again. In the same vein, some users find that if they have an older version of the software, updates may invalidate their key. The license provided upon purchase is valid for one year. If you want to update your license, you have to purchase a separate license key to access updated information. If you do not choose to update, you may use your license indefinitely, but only on the pre-updated information database. The App only works with IOS 9.0 or newer. There is an annual subscription fee of $18. Other than the sensor, additional costs include the necessity to update your app annually in order to access newer information as it’s added. This is optional, users can continue to access the older database with no fee. ​Compatible with a wide variety of adaptors. ​Comes preloaded with a library of codes. ​Users may find themselves locked out unexpectedly if the license expires. ​Requires a purchase to upgrade. The EOBD Facile is an OBD2 reader with a slightly more limited scope, but offers a lot of information for the cars that it covers. If you tend to only own or work on the listed makes, this one is worth a look.. It requires and ELM27 Wifi interface or a Klavkarr scanner in order to operate. It has a database of 11,000 code definitions, and allows the user to see engine and gearbox defect codes. It can also clear your check engine light and display real-time function of vehicle sensors such as speed, engine RPM, engine temperature,spark timing, engine airflow and torque. The App can diagnose and display specific manufacture codes for the following makes: Renault, Peugeot, Citroen, Opel,Audi, Ford, Volkswagen, Fiat, Alfa Romeo, BMW and Skoda. These readings can be downloaded into a report or recorded on your phone to watch at a later date through the PC/Mac software EOBD-Facile. The program is compatible with Windows Vista, 7,8, 8.1, and 10. Mac OS X from 10.8 to newer. There is a £ 39.90 license fee for the Basic Edition, or £60.00 for the Plus Edition. This is the only Iphone app that allows a custom PID. The app is capable of doing an emissions test, conduct real-time reports on your running engine, display car sensor data, clear OBD fault codes and is fully customizable to show only the data you want to see. The app allows you to graph your data for easy to read reports. It’s capable of recording engine speed, coolant load, fuel levels, and transmission temperatures. The MPG widget tool can plot your fuel efficiency, and it comes pre-loaded with GM and Ford libraries for manufacture codes, plus a PID and Prius PID libraries. ​Occasionally, the app fails to put itself to sleep, despite being programmed to do so after two hours of non-use. Sometimes users may also experience that the app has difficulty connecting to the vehicle, in which case they should ensure the ignition is set to engine off, key on position. ​Manufacturer specific data codes for a broad base of makes. ​In addition to the initial cost and adaptor cost, you’re required to buy either the basic or plus to access all the information. There are so many readings available on this app, it’s difficult to list. In addition to the standard code readings, it does contain some enhanced codes for GM and Ford. It also allows users to access fuel economy, performance on just a ¼ mile of travel from 0-60 MPH, multiple trip meters, engine horsepower and torque, air-to-fuel ratios, battery voltage, oxygen sensor, real-time mapping and whether your car is ready to pass emissions. The reports are easy to read, loadable into CSV files for email, and customizable for displaying exactly what you’d like to know. You can also download and email the entire diagnostic report. The data can be formatted to imperial or metric units and six different languages. The app is not compatible with generic OBD sensors. If you use one of the sensors not listed, you may have limited readings. The Vinli adaptor can only read SAE PID and trouble codes. There are optional add-ons beyond the original purchase for specific models, that average around $80.00. Models include Ford, Mazda, Toyota and Nissan. ​Compatible with an array of adaptors. ​The data formulation and customization is unique. ​The optional add-ons are expensive. 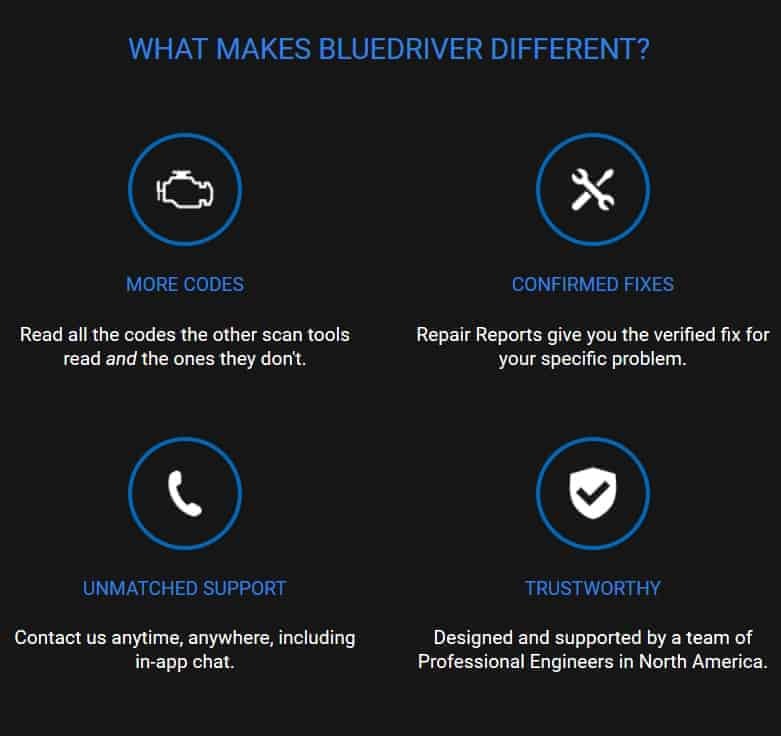 While there’s no doubt that any of these apps would come in handy if you’re a fan of working on your own car, either as a mechanic or enjoy being able to diagnose your car issues, the Bluedriver OBD2 emerges as the clear winner of the list. 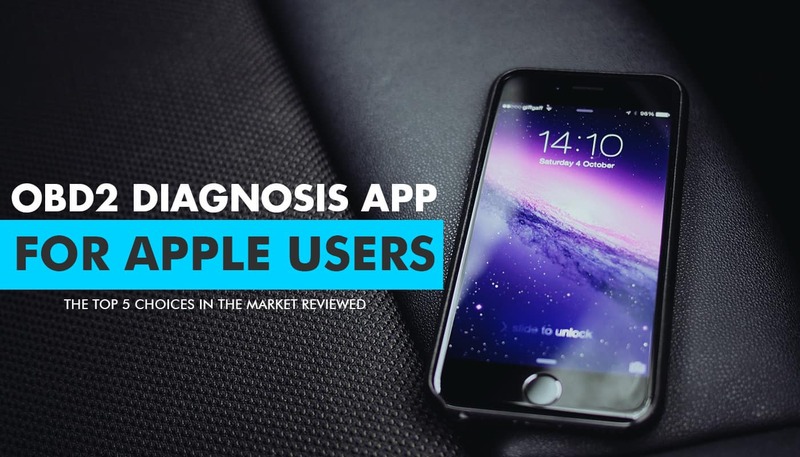 It does have a specific adapter that needs to be purchased, but it offers the most data available between all the apps, while avoiding a monthly or yearly licensing fee for its continued use. Updates are free to anyone who has already downloaded the app. Plus, it’s one price for all of the convenience features such as the ability to download reports, emailing capabilities and other diagnostic storage options. If you’re in the market for an app that will make your mechanic duties easier, it’s a simple to use tool that provides everything you’ll need without the requirements for updating or additional purchases.